Royal & SunAlliance (R&SA) UK chief executive Duncan Boyle refused to rule out further disposals by the insurer as it announced a group pretax loss of £146m for 2003. But this was a marked improvement from its pretax loss of £953m in 2002. Boyle said he was "not going to speculate" on possible further disposals after the insurer revealed a 38% fall in operating profit (based on longer term investment return) to £140m for the 2003 full year. This compared to operating profit of £226m for 2002. R&SA's UK business made an underwriting profit of £21m in 2003, up from a loss of £148m the previous year. Boyle attributed the increase to the "aggressive change programme to improve the efficiency of the UK business". To this end, R&SA reduced the number of personal lines brokers it deals with in 2003, resulting in a drop in personal lines intermediated premiums from £1.1bn in 2002 to £933m in 2003. 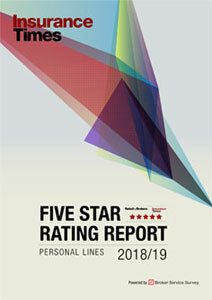 Boyle said R&SA had now largely completed the review of its UK personal lines broker relationships. He said there would be "further tidying up around the edges, but we're now doing business with who we want to do business with". Losses worsened at the company's direct personal lines operation, More Th>n, which, while increasing net written premium to £352m from £296m in 2002, saw its underwriting loss double, from £9m in 2002 to £18m in 2003. R&SA's UK personal lines business improved its position from a loss of £149m in 2002 to a £56m loss in 2003. It recorded a combined ratio of 103% for the year. The insurer's UK commercial lines business also made substantial ground in 2003, posting a profit of £77m in 2003, compared to a profit of £1m in 2002. It achieved a combined ratio of 95%. 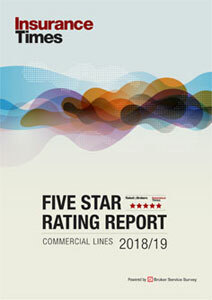 Boyle also highlighted R&SA's work with Accenture to install a new claims, sales and underwriting system as evidence of the insurer's commitment to further improve the efficiency of its UK business. R&SA's share price fell 15% after the announcement.